A truck bomb made with more than 5,000 lb. 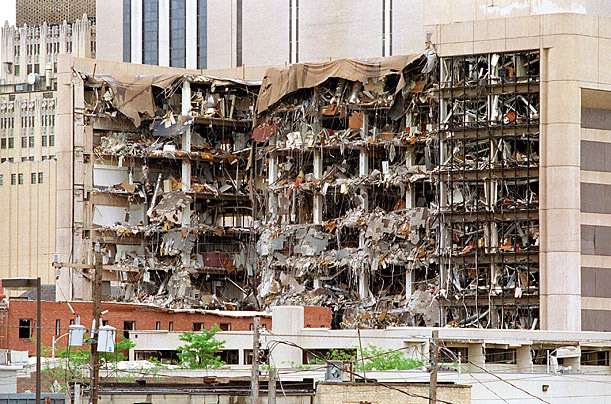 (about 2,300 kg) of explosive-grade ammonium nitrate fertilizer ripped off the north side of the Albert P. Murrah Federal Building in Oklahoma City on April 19, 1995. The blast killed 168 people, including 19 children.